Something a bit different today. I'm currently in a sexi navy hospital gown (no pics I shan't be twitpicing) waiting to go in for my regular operation on my throat. And while I'm bored I've been searching the 'interwebz' for my new obsession. 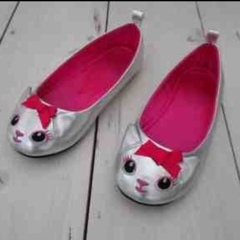 Cat Print shoes! Not your typical leopard or tiger prints oh no. I want faces. I want silhouettes. I want the whole shebangimal! Here are a few of what I've found. 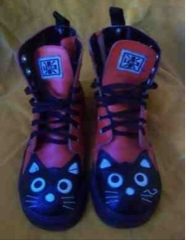 Pictures taken from eBay except the first & last two which are from Asos & Yesstyle.co.uk respectively. 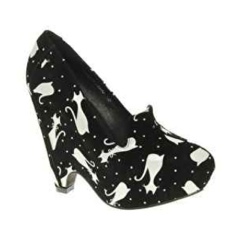 I love the Irregular Choice ones! 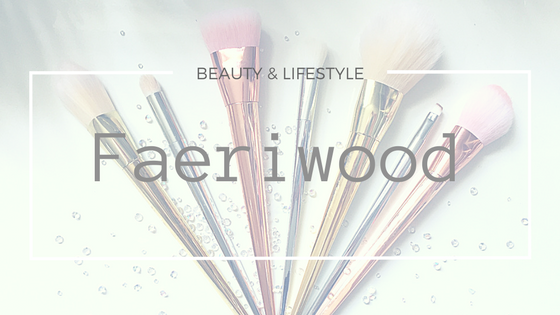 I have wanted them for so long, but I bought a par by Irregular and I was barley able to walk :( so that has turned me of them. 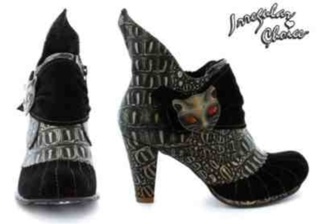 Those are all fab, I do love irregular choice! hope you recover quick from your surgery!